The Scotts S2546 riding lawnmower tractor was made by the John Deere company until 2001. 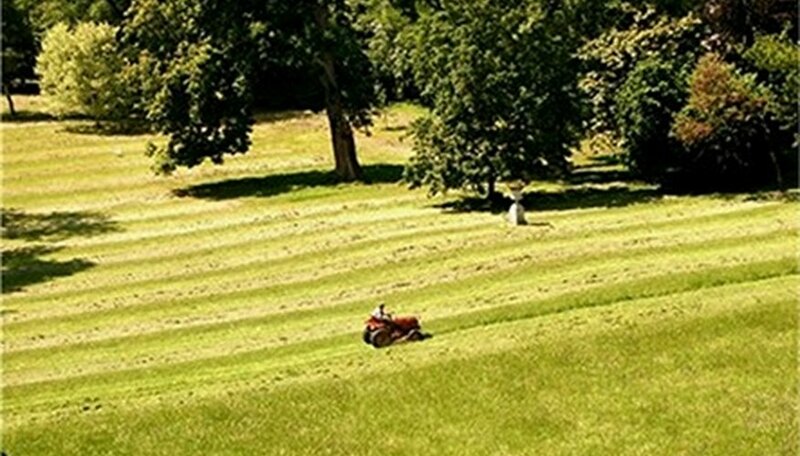 It was designed and marketed as a residential mower with 25 horsepower and a 46-inch deck. The mower drive belt requires replacement when the belt has failed or is failing; this manifest as the mower blades not rotating, heavy vibration of the mower or even clogging of the discharge chute. Park the mower on level, firm ground. Place the gear shift into neutral "N". Engage the brake. Place the PTO driver to "Disengage". Remove the key from the ignition and set aside. Wait several minutes to ensure that all of the mower parts have come to a complete standstill and have begun to cool. Don a pair of heavy duty but still flexible work gloves to protect your hands. Remove mower deck by moving the deck control to it highest position from the ground. Lift the unit up onto two wood blocks positioned on either side of the mowing deck to give you space and access to work. Lower the mowing deck control to its lowest possible position. Remove all pins, fasteners and driver bars setting them aside for re-assembly. Slide the wood blocks out from under the mower. Pull and slide the entire mower deck assembly out from under the tractor. Set the mower deck aside but within arm's reach. Unscrew the six capscrews and the left and right belt guards. Tug the belt pulley unit to the left gently. Remove the old or broken mower drive belt from off of the pulley and motor assembly, discarding it. Install the new drive belt by simply reversing the order of removal steps. Replace and tighten the belt guards and capscrews so that they are secure. Replace the mower deck assembly by reversing the operations in Steps 3, 4 and 5. Deere.com continues to provide product support for the discontinued mowers; detailed renderings can be found on its website.